I really shouldn’t read “health” articles on “news” sites, as they do little more than to frustrate me at the lack of knowledge so often on display. This recent article – “Fountain of youth pill available in just two years: Blend of 30 vitamins and minerals may reverse aging of the brain” almost made me fall over in astonishment at this brilliant (!) piece of research studying the the effects of a tiny amount of synthetic vitamins and minerals on brain aging in mice. What I find so offensive about articles such as this one, is not the content as such, but the inference that positive health benefits gained from vitamins and minerals is a “new” discovery and worthy of greater scientific investigation. As if thousands of years of Chinese and Ayurvedic medicine, as well as the modern field of naturopathy, have never existed, and the reams of research and evidence in this field is completely ignored in favour of simplistic and nonsensical research studies such as this undertaken by those in the medical field. What I also find so startling in these articles is the dawning awareness that vitamins and minerals can prevent disease and disorder. When every single biochemical function in the body is dependent upon vitamins, minerals, antioxidants etc, why is it such a startling new discovery that providing these very elements will assist in better biochemical functioning? To me it seems like the most basic of common sense. If we need certain elements for our body to work, then surely providing those elements will allow it to function at its optimal ability. This is the basic premise of natural medicine – that our body is a self-healing, self-regulating organism, that when provided with the right tools and environment, will do it’s utmost to heal and return to a state of homoeostasis. The other premise that I do find absurd in these types of studies is the use of small amounts of synthetic vitamins and minerals to achieve an outcome, whereas greater effects would be found were whole foods with their thousands of different nutrients, utilised in the studies. Putting together a small sample of just 30 nutrients is very minimal when you consider that in a leaf of spinach there are approximately 15000 different nutrients which all act in synergy to support and enhance the action of each other. You may very well get positive results in health outcomes by providing certain nutritional supplements, but that will never compare to eating whole fruits and vegetables containing an abundance of thousands of different nutrients. I find that naturopathy is such an undervalued and under-utilised field. Incredible amounts of research have been done in the nutritional, herbal, orthomolecular and even the psychoneuroimmunology field, that put studies like the one cited in this article to shame. The depth and incredibly detailed scientific level that our industry goes to in its research is phenomenal, but because our recommendations are not pharmaceutical, we are ignored. At the end of the day, people who are wanting a better quality of health and life, and are seeking their own personal “fountain of youth”, will find the answers in the holistic medicine world. There is no substitute for good quality, organic wholefoods, eaten in abundance and supplemented with herbal medicine and tonic elixirs that support the immune system, lower inflammation and confer healing properties. 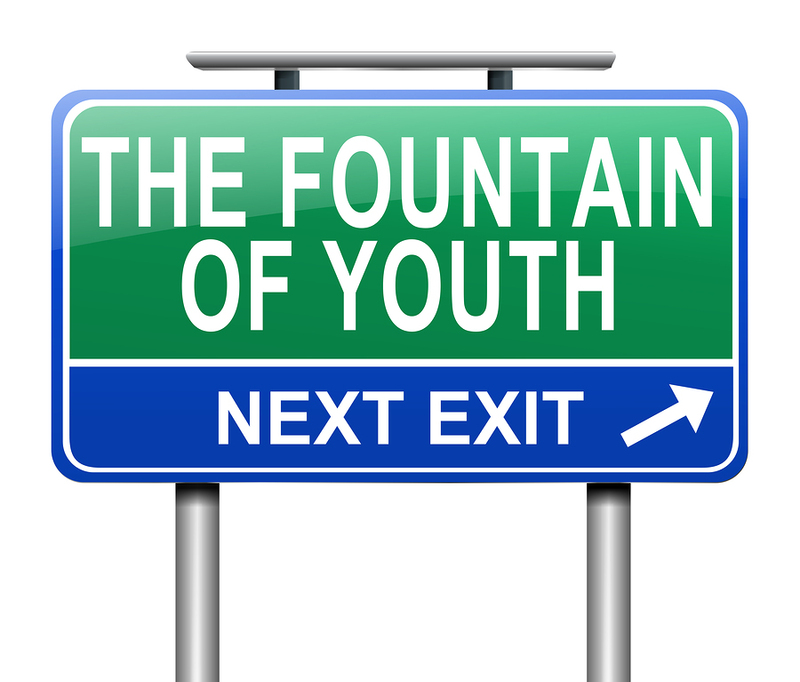 We already have the fountain of youth, and I can guarantee you it’s not found in a synthetic mix of just 30 vitamins and minerals. I started my company for the very reason that we have been conditioned and driven to believe that the products we see on television and subsequently, buy in the stores, deliver the claims on the bottles. We have to start examining the current market products, reading the labels of what comprised the ingredients, names starting with Meth/Ethy/Hydro, etc., it’s clear, if you cannot pronounce the names of chemicals on the bottle, how can you be sure of what you are getting in the product or their “effects, ” mostly fillers and alcohol with a whiff of active ingredients. My company, TEA SEA SCENTS http://www.teaseascents.com is devoted to healing the largest organ on your body, your SKIN! All the products are exclusively made in-house and originated by the “Company.” All of the products (mouthwash, facial moisturize, hair repair, body works, etc.) are 100% chemical free, made with essential oils and raw ingredients. Once applied to the skin, they quickly permeate the cell walls of your skin to deliver nutrition and remove waste. This cleansing effect helps to restore balance to your body, which ultimately helps you to feel better…and help your body to heal. Stop on by: Tea Sea Scents is committed to a healthier LIFE! On reading the title of the post I rushed to read the article and article was good enough.